Last week, Zoey and I walked through the Ballard Locks and saw all kinds of beauty in nature. This picture surprised me with how well it came out. It was a gorgeous day and I am glad we got the chance to experience the most of it. The sun reflecting on the water was a beautiful sight, I'm glad it came out in the picture. Now it is time to join in the Wordless Wednesday fun! Link up and visit some others blogs too. Be sure to share some comment love along the way. That is such a gorgeous shot! The lighting is perfect! I love it. It's not very often where one can get the light to be just right for the shot. Thanks, it felt like a perfect day. Thanks so much for linking up! What a perfect shot! I love that. Wow! That is a perfect reflection and picture! Thanks, I was amazed I caught the shot. Have a great day! What a beautiful shot, when I try and take pictures of the moon, they just dont come out!! Thanks! Yeah, I'm hit or miss when it comes to these kinds of things. It's fun when one works out once in a while. Have a great week! Beautiful picture! I cannot link up with our linky, so leaving a comment instead. Amanda, Fabulous image! 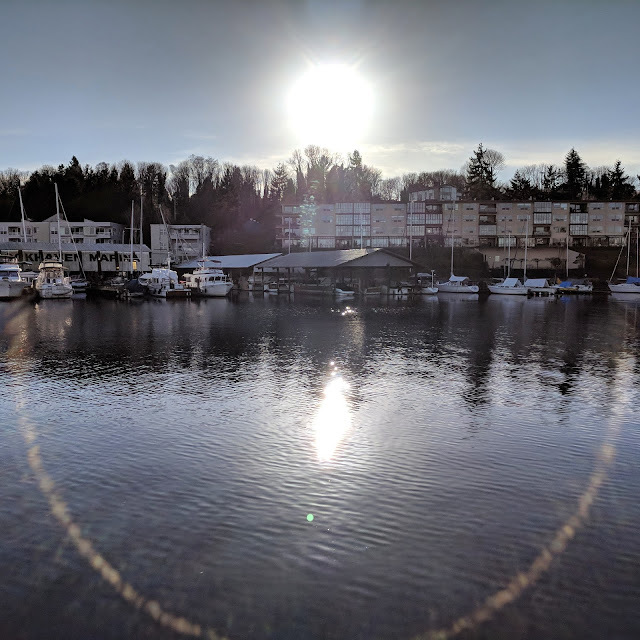 I love how you captured the sun ring in the water!! :) Thanks for stopping in and joining my WW linky party! Gorgeous shot. I can only imagine how it was like to experience that moment in person! Beautiful shot! Thanks for linking up at Life at Rossmont.